A middle aged woman has been arrested by the police for allegedly biting her 8-year old minor (names withheld), at Housing Estate, Fegge Onitsha, Anambra state. The suspect, a widow, has been severely accused of battering the minor, who hawked sachet water after school anytime she disobeyed her instructions. The Nation gathered that trouble started when the victim, a native of Osumogho, Ihiala Local Government Area, forgot to switch off the gas cooker after cooking. “She held her closely and bite deep into her body for wasting her gas.” a neighbor said. Reacting, a Human Rights activist, Dede Uzor Uzor, said the minor has been undergoing series of human rights abuses, including biting from their findings. He said he reported the matter to the Fegge Police station which led to the suspect’s arrest. 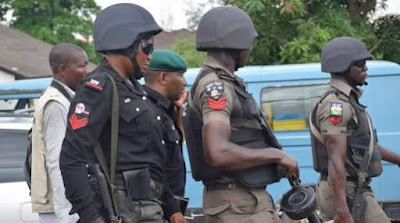 Efforts to contact the Fegge Divisional Police Officer, Mr Rabiu Garba were unsuccessful, but a senior police officer who pleaded anonymity said, “the woman is in our custody”.